Keep your teeth and gums healthy. Diseased gums can lead to premature birth or a low birth weight baby. Keeping healthy gums can stop the transfer of decay-causing bacteria from you to your baby, which can lead to early childhood tooth decay. Avoid or treat pregnancy-related vomiting and acid reflux. During pregnancy some women experience morning sickness with vomiting and/or acid reflux. 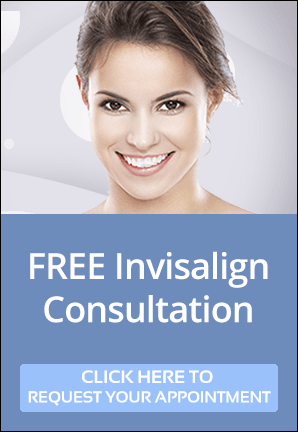 These women are at an increased risk of tooth erosion. There are simple ways to reduce this risk. These include rinsing your mouth with a mouth rinse or even water, chewing sugar free gum, smearing a dab of toothpaste on your teeth, and waiting 30 minutes before brushing if you vomit. 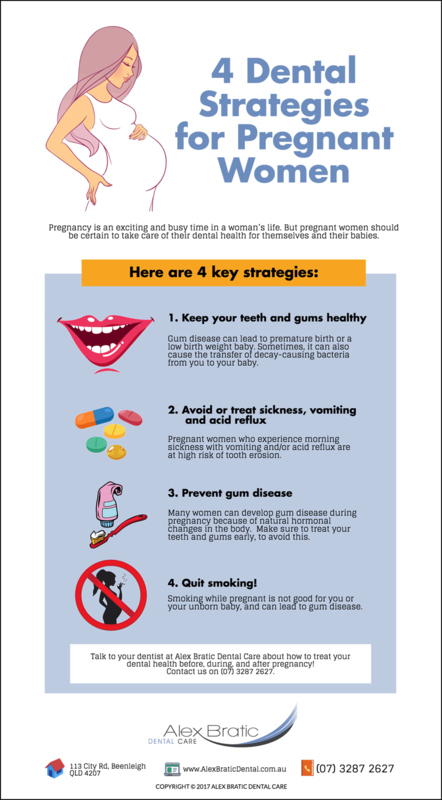 In some cases women develop gum disease during pregnancy due to natural hormonal changes in the body. Early treatment of teeth and gums is the best way to avoid this. Signs of gum disease include bad breath, red gums (instead of pink), swollen gums, and bleeding gums. Quit smoking! In fact, you should quit all tobacco products as they are not good for you or your unborn baby, and can lead to gum disease. Visit you Alec Bratic Dental Care to discuss your dental health before, during, and after pregnancy!